Your Favorite SYFY shows, anywhere and anytime! The SYFY app is the best place to catch the most recent season of your favorite SYFY shows and watch tons of great movies, available live and on demand! 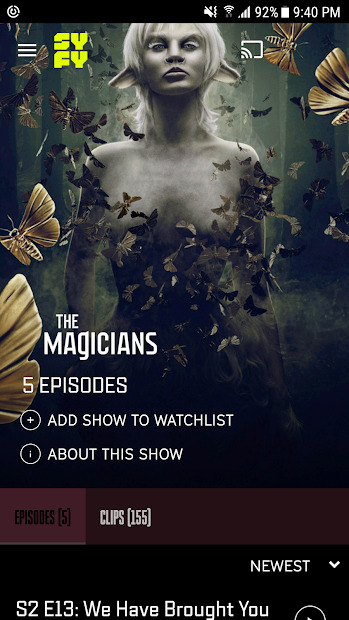 Watch full episodes of The Magicians, Krypton, Futurama, Happy!, and many more! Also, SYFY is the new home of the Harry Potter franchise! You’ll find all the great content in the “Wizarding Word” folder in the app. 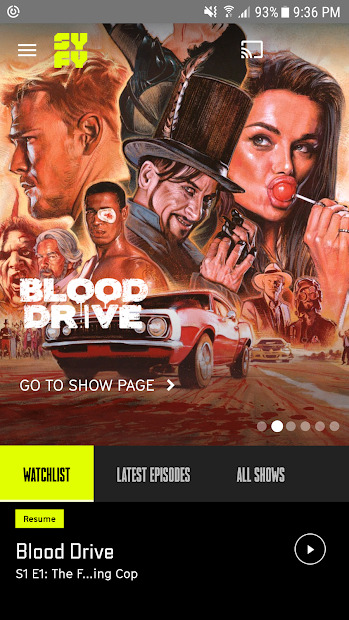 If you don’t see the films in the SYFY app, check out the USA Network app! They will be sharing the movies between the two apps. Note: To get started, you need to sign in with your TV subscription (cable, satellite or digital). 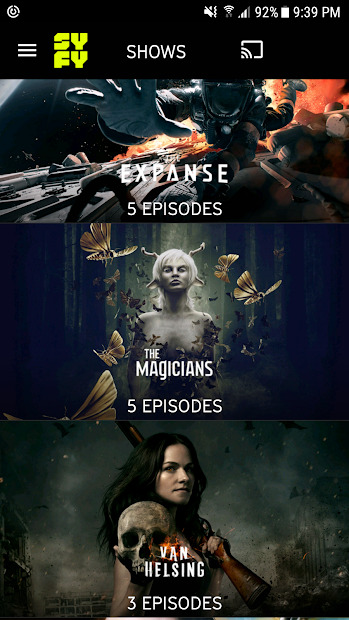 The SYFY app supports most TV providers, including DirecTV, Xfinity, Spectrum, AT&T, and Dish.